Tax rates slapped on home purchases in South Korea will be revised downwards to revive the country’s property market slump. South Korea’s Cabinet has approved the tax rate reduction for transfers and purchases of home for an unspecified temporary period. The revisions include the tax rate on purchases of homes worth less than 900 million won or roughly $808, 209 to drop to 1% if bought by the end of this year. Homes worth more than 900 million and 1.2 billion won will have tax rates lowered to 2% from 4%, while homes valued more than 1.2 billion won will drop to 3% from 4%. The new revision also exempts buyers of homes worth less than 900 million to transfer property bought in the next five years from paying taxes. 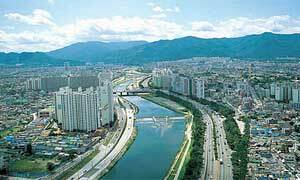 This has been the new set of measures imposed by the South Korean government to help the housing market. Early this year, the levy on profits made from home sales by multiple owners to 6% - 35% from 50% to 60%. The real estate lending restrictions begun in August 2010 and interest rates had been unchanged at 3.25 from June 2011. In May this year, the South Korean government even eased the mortgage lending limits for three of the capital’s affluent areas. Nonetheless, a price decline had been noted by an index compiled by Kookmin Bank, the country’s biggest lender. Nonetheless, a price decline of 0.7% had been unavoidable during the first quarter compared to the 0.3% gain in 2011, data from Kookmin Bank said.